We have long waited for this motorcycle tour. The absence of a direct ferry crossing from UK was somehow discouraging to organise this but we are making it happen. After we cross over into Europe from either Hull or Harwich to Rotterdam, we make our way through Germany to meet up on the first night. Taking a combination of ferry and the Oresund bridge we pass Copenhagen and enter Sweden. 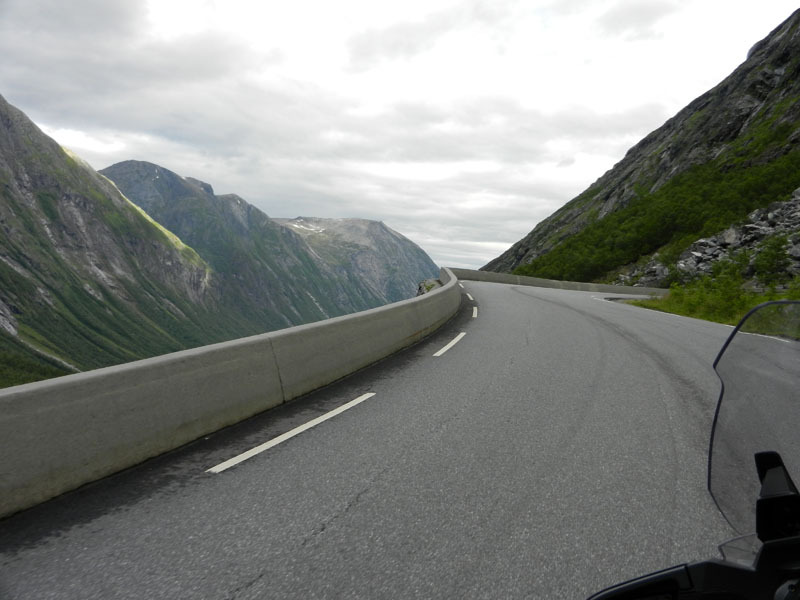 Up through Ostfold and Akershus area we enter Eastern Norway. 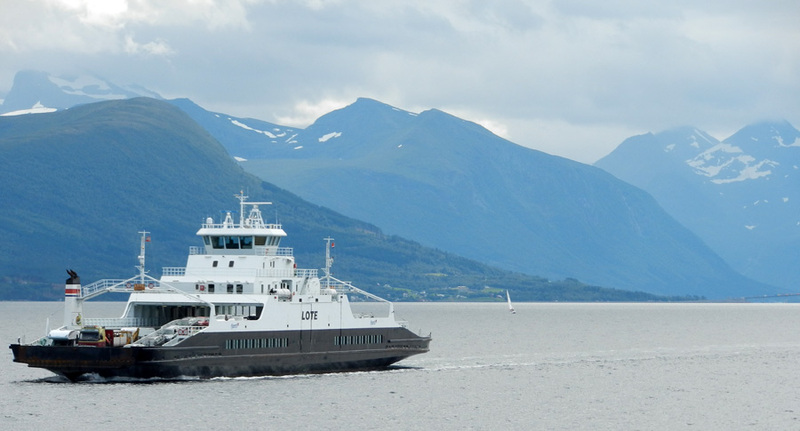 The tour goes through magnificent National Parks to Molde, which will be our most northern point. Here we stay for two nights which gives you a free day. 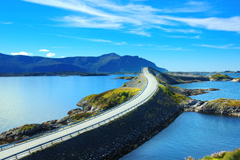 Many will take this opportunity to ride the renowned 'Atlantic Coast Road'. 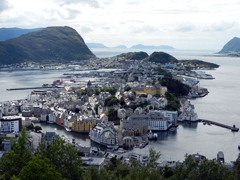 We then move to the area known as Vestlandet. 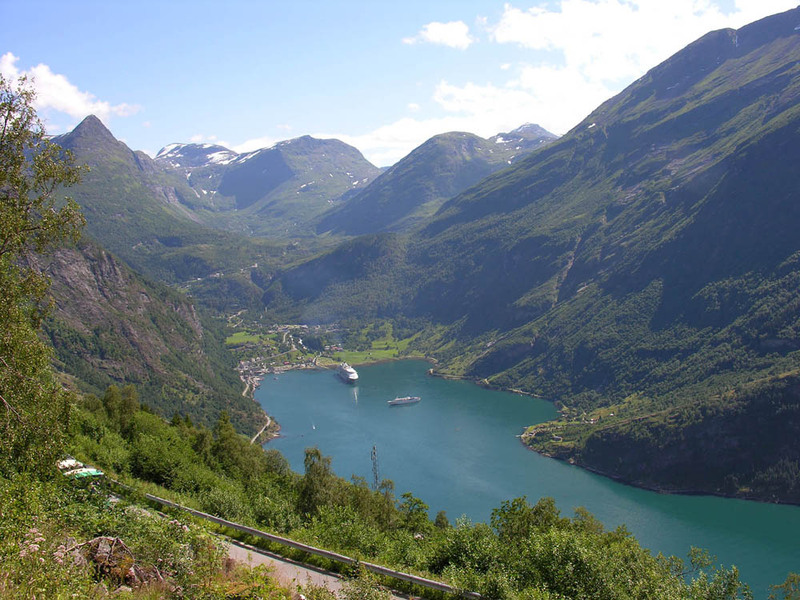 In this part of the tour you will see many of Norway's most scenic roads and fjords with the Geirangerfjorden known as the pearl of the Norwegian fjords. 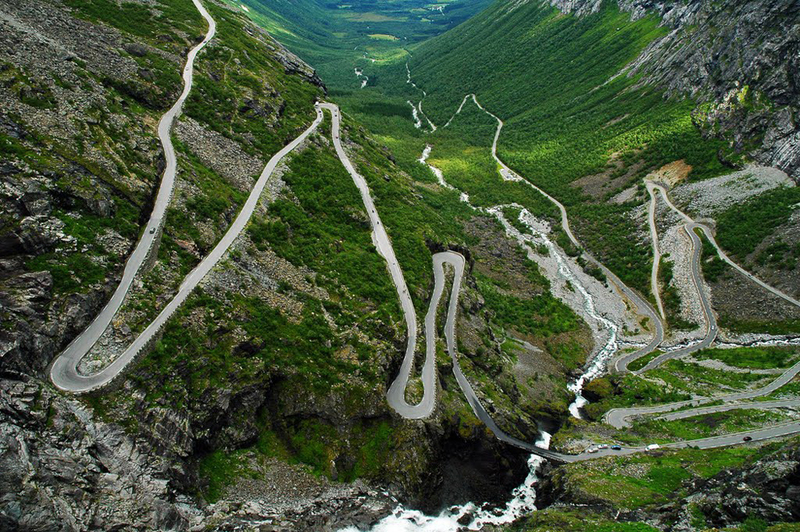 We would also ride the demanding Trollstigen with numerous hairpin bends. We continue southwards though number of Nation Parks and great roads when we finally take the express ferry across the water to Denmark. On our return journey we stop for the last night in Germany with a short distance left to catch our ferries. We have tried to keep daily mileages manageable and give riders the flexibility to ride independently should they wish. Sunday 15th July Today each of us will make their way to the departure port of your choice to catch either the P&O Hull-Rotterdam or the Stena Harwich to Rotterdam overnight ferry. An en-suite cabin (for 2) is included in your crossing. For those wishing to use the Eurotunnel instead of a ferry see Travel Choice. Monday 16th July (350 miles) This will be our longest day, but both ferries dock early morning giving us a lot of time to make a good progress across Holland and Germany. We will join up with any riders who have chosen the Eurotunnel route at the first night's hotel, on the way to the Baltic coast just outside Hamburg. 3star hotel, Evening meal, B&B. Tuesday 17th July (220 miles) Not long after we start our ride today we board the Puttgarden to Rodby ferry. If you choose you will have the time to visit Copenhagen before taking the Oresund Bridge that runs nearly 5 miles from the small artificial island Peberholm to the Swedish coast. We finish the day at a hotel 30 minutes ride from Malmo. 3star hotel, Evening meal, B&B. 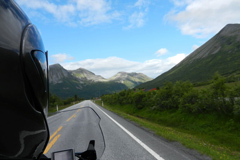 Wednesday 18th July (192 miles) We continue our journey northwards along the west coast of Sweden passing Gothenburg before taking a further nights stop. 4star hotel, Evening meal, B&B. 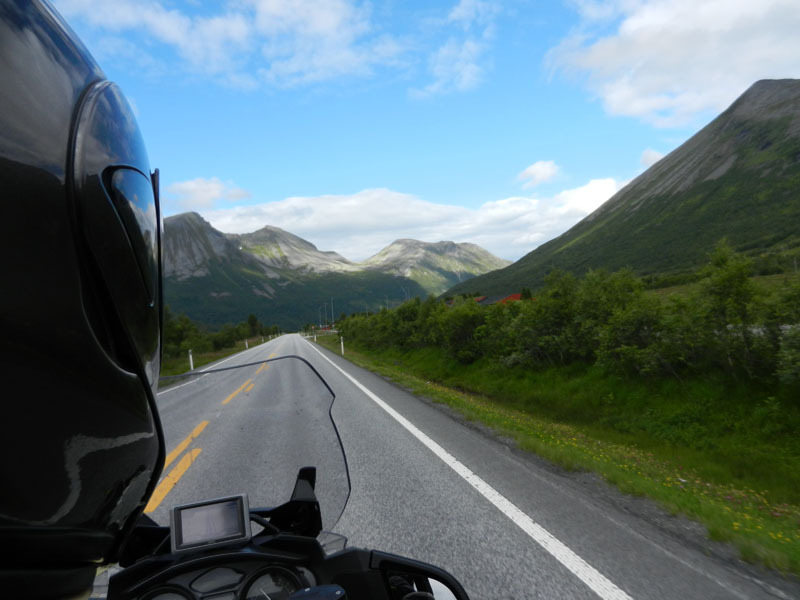 Thursday 19th July (259 miles) We leave the motorway behind and enjoy some of the Swedish countryside roads before crossing the border into Norway. Our day ends at Lillehammer perhaps best known for hosting the 1994 winter Olympics. 4star hotel, Evening meal, B&B. 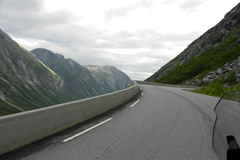 Friday 20th July (232 miles) The day starts with one of the most beautiful mountain roads of Central Norway. 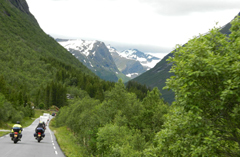 Continuing up the Gubbrandsdalen Valley before entering the oldest national park in Norway, Rondane National Park. 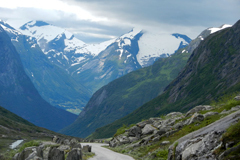 The Dovrefjell National Park is next. The park includes the dramatic highlands around the Shohetta and provides suitably bleak habitat for arctic foxes, reindeer, wolverines and musk oxen. Turning westwards we arrive at your hotel for the next two nights. 4star hotel, Evening meal, B&B. 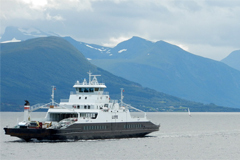 Saturday 21st July (Free day) You can relax in Molde which is known as the 'Town of Roses' for its rose gardens and lush vegetation. 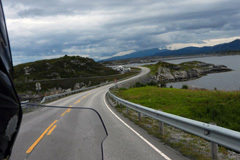 This is the furthest north we go and we've chosen it to allow those that wish to ride the 'Atlantic Coast Road'. 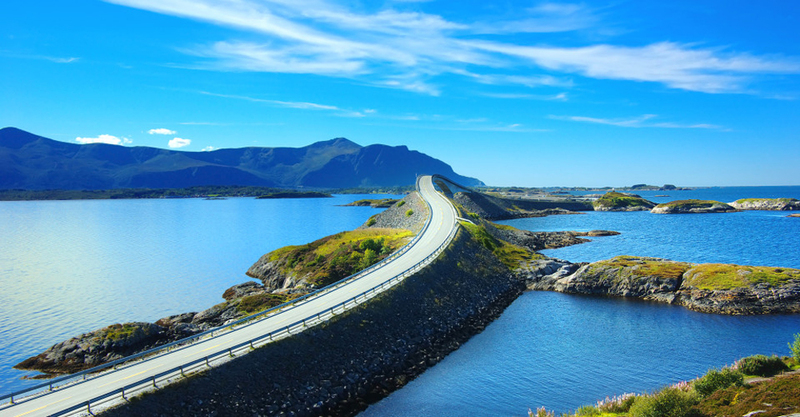 Sharp turns and wild nature have put the Atlantic Road at the top of the British newspaper The Guardian's list of the world's best road trips. 4star hotel, Evening meal, B&B. Sunday 22nd July (140 miles) Today we're riding, what is known as, the 'Golden Route'. 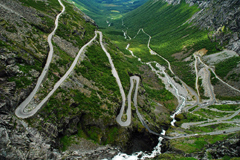 The Trollstigen is a popular tourist attraction due to its steep incline of 10% and eleven hairpin bends up a steep mountainside. 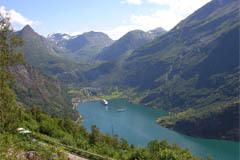 Having reached the top we descend to Linge where we take the ferry across the Fjiord to Eidsdal. 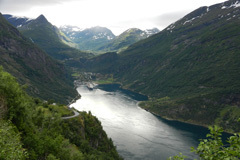 The road climbs again, this time to ride the 'Eagle Road' that leads you to the most stunning panoramic views from the top, the king of Norwegian fjords, Geirangerfjord. 3star hotel, Evening meal, B&B. 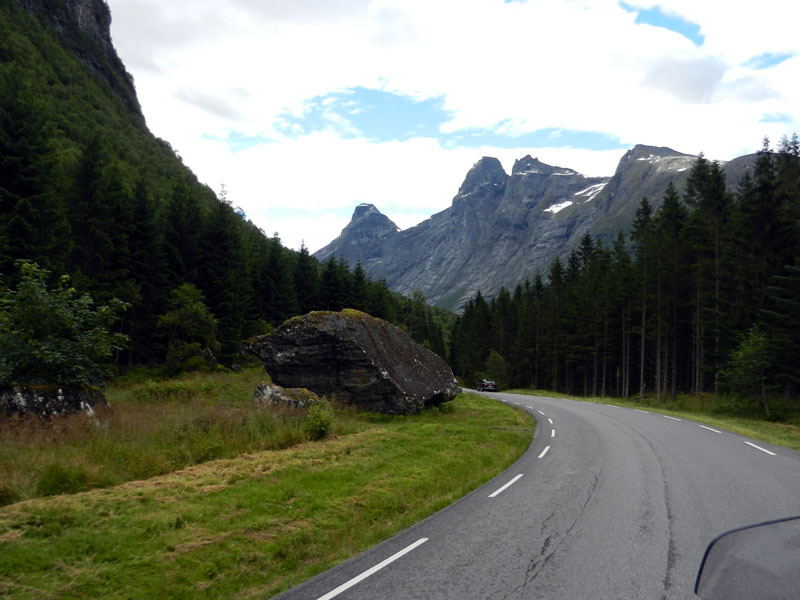 Monday 23rd July (168 miles) Our journey progress southwards on winding roads. 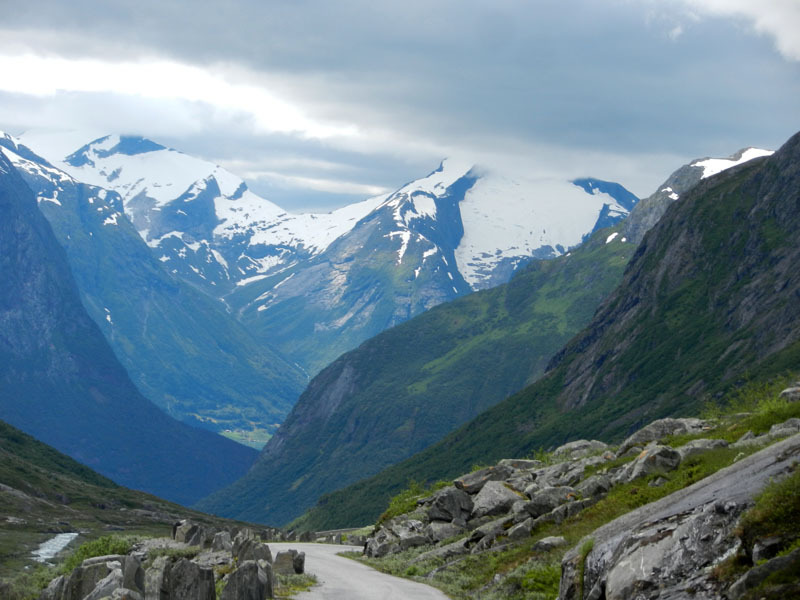 Shortly we enter the Jostedalsbreen National Park , the treasure trove of natural beauty. 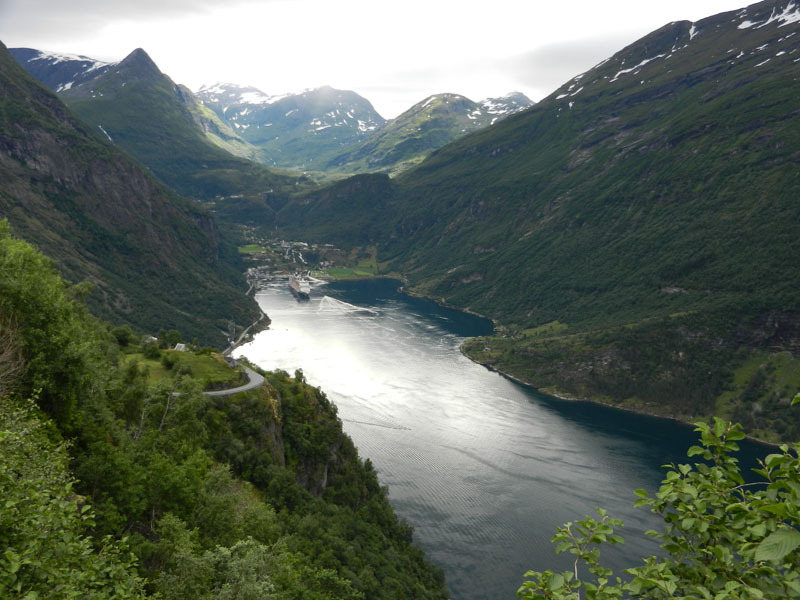 We continue along the route 7 and take the Mannheller-Fodnes ferry before taking a shortcut to even more twisty climb above the Vassbygdevatnet Lake for another spectacular view. 3star hotel, Evening meal, B&B. 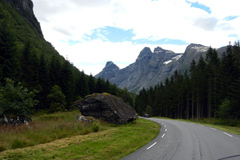 Tuesday 24th July (196 miles) We continue our ride southwards into the Telemark area with mountains and hidden valleys with historic stave churches. 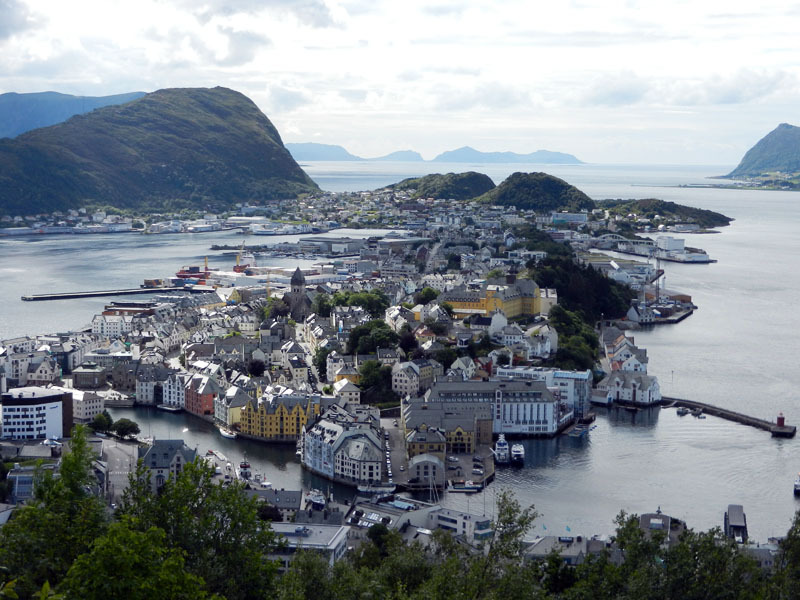 Passing the largest lakes in Norway and the deepest in Europe we ride through the famous town where in 1943 the German hydrogen factory was blown up in a daring act of heroism by Norwegian Resistance fighters. We stop for the night at another 4star hotel. Evening meal, B&B. 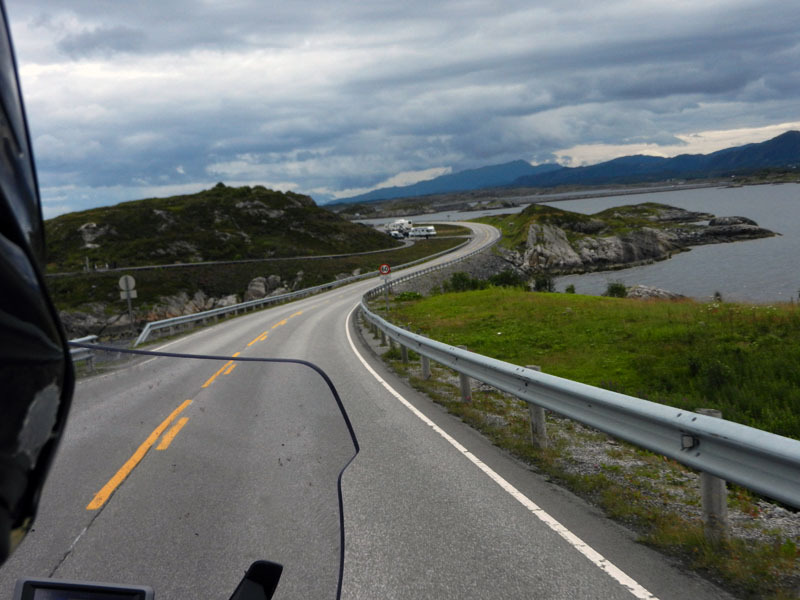 Wednesday 25th July (137 miles) We make our way through the wildness of Aust-Agder with a couple of route choices here arriving at Kristiansand where a fast ferry takes us across the water to Denmark. On docking we continue riding southwards for another hour to arrive at our overnight stop. 4star hotel, Evening meal, B&B. Thursday 26th July (340 miles) Along the motorways we make the way through Denmark to Germany for our overnight stop just outside Bremen. Friday 27th July (250 miles) Relatively short ride today, mainly motorways to catch our respective ferries from Rotterdam. Riders that have chosen the return journey via Eurotunnel will have considerably more mileage to cover and may need to consider another overnight stay. Saturday 28th July Arriving in the UK we make our way home.